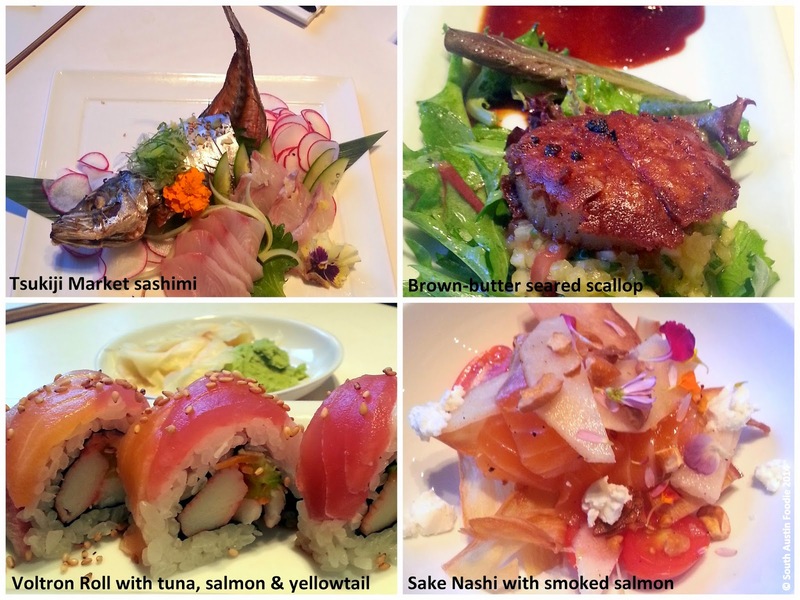 -- I recently got to try some of the new menu items at Lucky Robot during a media tasting. The restaurant opened in November 2012, and from the press release: "This is the restaurant’s first major menu overhaul and it reflects a move toward using local and sustainable ingredients like Texas-raised Wagyu, showcasing new flavor combinations and featuring a more robust sushi selection using fish from Tsukiji Market in Japan." Their menus also offer gluten-free and vegan options, and don't miss the daily happy hour from 4 - 6:30 pm. The green manalishi sake punch with it's cucumber, mint, and serrano was a great accompaniment to the foods we tried. Particularly loved the seared scallop! Lucky Robot's eclectic Harajuku-inspired decor is in step with the sights and sounds of South Congress Avenue. -- Sugar Mama's Bakeshop at 2406 Manor Road is now open, and it's next door neighbor Dai Due is in it's final soft opening stages. They will have a restaurant as well as their fresh meats for sale. -- Kerbey Lane Cafe is opening at Bee Caves and 360 in the Village at Westlake. -- Punch Bowl Social officially opens in the Domain, Saturday, August 23rd, 7 - 9pm, with a benefit for the Dell's Children's Medical Center; $10/person. -- The Hightower is now serving a prix fixe menu on Tuesday evenings -- appetizer, entree and dessert for only $19! Menu items will change from week to week. -- Vince Young Steakhouse has a new happy hour menu, available Monday through Saturday from 5 - 7 pm for $10/item, including lobster rolls and Wagyu brisket burger. -- Thunderbird Cafe and Tap Room is offering free espresso happy hour, every Tuesday morning from 10 - 11 am. They also offer pastries, salads, sandwiches, along with their coffee drinks and beers on tap. -- Jacoby's Austin, a family run restaurant and mercantile, will open shortly at 3235 East Caesar Chavez; food will be ranch-style and the mercantile will sell their jams, meats, and home goods. -- San Luis Spirits, the parent company to Dripping Springs Vodka is also introducing Dripping Springs Gin, and will open their distillery doors for public tours beginning September 2nd by reservation. -- Local non-profit Farmshare Austin has an Indiegogo fundraising campaign in progress through August 31st. Help them grow a new generation of farmers by providing funding for them to build their farm school! 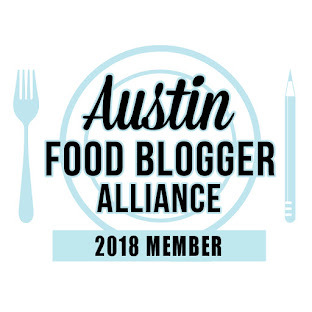 -- The application period has now opened for the Austin Food and Wine Alliance's Culinary Grants program; they have a total of $30,000 to give in culinary grants. -- Food vendors are needed for the annual Texas Book Festival; applications are due September 1st and the event is October 25-26. 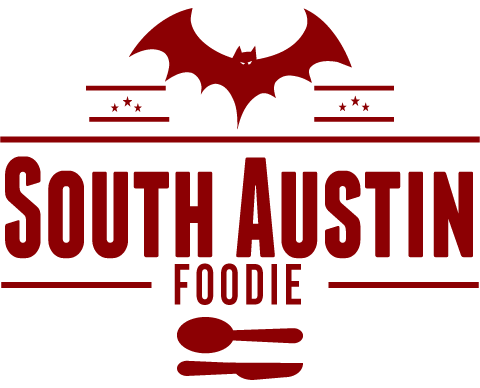 -- The Edible Austin Third Annual Chef's Auction will be October 9th, and will benefit the Sustainable Food Center and Urban Roots. Tickets are $75/person. -- Mandola's and Trattoria Lisina are hosting their 5th Annual Bocce Ball Tournament that will benefit the Burke Center for Youth in Driftwood. The competition will take place at Trattoria Lisina on October 25-26, with the grand prize being a trip for two to Italy. Registration is $200 per team, but you can catch the early bird rate of $150 before September 15th.